Sonic or Spark? Which Chevy Compact is Right For You? In name alone, the Chevy Sonic has been around since 2011 when it was first introduced at the Paris Motor Show. In concept and in every other area, the Sonic has been a part of the Chevrolet lineup since 2002. Back then it was sold as the Chevy Aveo, and was the brand’s leading subcompact car until the Sonic took over for the 2011 model year. Chevy’s other popular subcompact, the Spark, also got its start under a different name. Originally sold as the Daewoo Matiz, Chevy began to sell this sporty car under the Spark nameplate in 2005, shortly after taking control of Daewoo Motors. 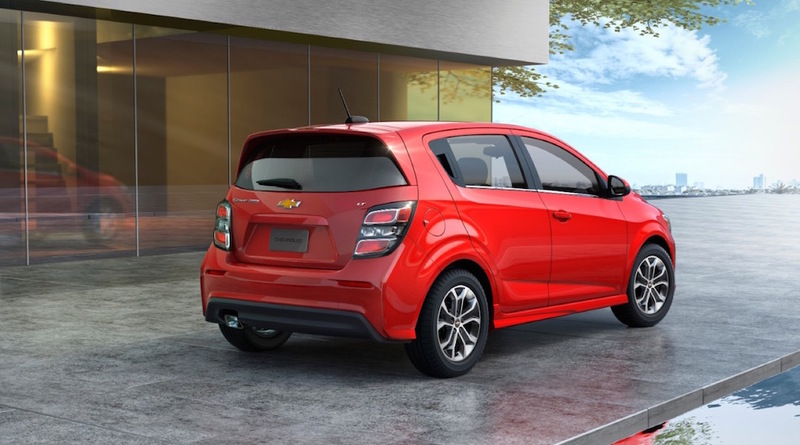 Both the Spark and Sonic are currently available at your favorite Chevy dealer near Joliet, and each represents the perfect blend of fun, affordability, and practicality. The 2017 Chevy Spark is the lowest priced model in the latest Chevy brand lineup. Starting at just $13,000 brand new, the 2017 Spark was designed to deliver exceptional reliability and performance at a very affordable price. The Sonic is also one of the lower priced models in Chevrolet’s 2017 lineup, and starts at just $15,145. Both of these subcompact cars are obviously affordable, but what else do they offer? The easy answer to that question, is a lot. The Sonic and Spark are besting the competition in nearly every area of importance, and are quickly becoming some of the best selling vehicles in their segment. If you are looking for an affordable compact to add to your daily routine, the harder question to answer would be – Should I choose the Spark, or the Sonic? Spark or Sonic? Which One is Right For You? The Spark and Sonic are easily confused among car shoppers, and for good reason. Both are available as a hatchback variant, they are both considered subcompact, and each model offers a lower end price tag. First impressions aside, however, and these two cars from Chevrolet have a lot more differences, than they do similarities. Choosing which one is right for you may be a simple matter of personal preference, or more likely – your unique set of vehicle needs. Take a look at some of the areas of importance below, and see which compact car from Chevrolet offers the best solution to each one. If Space is Important: Subcompact car buyers are just as concerned with maximizing their vehicle space, as any other driver. Perhaps even more so, due to the fact that they have less space to work with over someone who is shopping for a new Chevy Tahoe. If you are shopping around for a compact car and don’t want to sacrifice extra space for passenger comfort and belongings, then the 2017 Sonic sedan is your best bet. With a maximum cargo volume of 47.7 cubic feet, the Spark doesn’t even come close to that amount of room with a mere 27.2 cubic feet of maximum cargo capacity. It’s also worth noting that while the 2017 Sonic has seating for five passengers, the smaller Spark can only accommodate four. If Fuel Efficiency Matters: This area is a more obvious concern for buyers looking for a compact or subcompact car, and truthfully – both the Sonic and Spark deliver phenomenal fuel economy ratings. When it comes down to getting the maximum amount of fuel for your money, the 2017 Spark comes out far ahead of the Sonic. With an EPA-estimated fuel economy of 30 MPG in the city, and 39 MPG on the highway, the 2017 Spark will get you much farther down the road, with fewer stops. To compare, the 2017 Sonic has a fuel economy rating of 24 MPG in the city, and 34 MPG on the highway. While these numbers are still quite impressive, the Spark is your best bet for maximizing your everyday fuel efficiency. If Power and Performance is Important: Compact cars are not made to race, or even contend with larger sedans on the market. While neither the 2017 Sonic or the Spark will be winning any power and performance awards this year, the Sonic is noticeably more capable than the Spark in this particular department. Chevy equipped its 2017 Sonic models with a 1.8-liter I4 engine, capable of producing 138 horsepower and 125 lb.-ft. of torque. The smaller Spark maxes out with a horsepower rating of 98, and 94 lb.-ft. of torque. For drivers who need a little more get up and go out of their compact sedans, the Sonic is clearly the best choice. If Price Matters: As we mentioned earlier, both the Sonic and Spark offer price tags that are the least expensive in the entire 2017 Chevy lineup. The base 2017 Spark starts at just $13,000, and tops out at a still conservative $17,425. The entry level 2017 Sonic features a price of $15,145, and tops out with the Premier model for $20,415. Both the Sonic and Spark come packed with plenty of standard features, which may make the decision that much harder for buyers. When it comes down to mere numbers, the 2017 Chevrolet Spark is the best option for buyers on a budget, or for those who want to buy a less expensive car without sacrificing amenities. Choosing between the Sonic and Spark may be a tough decision to make, but you really can’t go wrong with either one of these Chevy brand cars. Each one has managed to earn its fair share of accolades and industry honors, and are built by the most dependable car brand in America. On paper, the choice between the Sonic and Spark may be an impossible one to make, especially if you have not experienced either of these models in person. If that’s the case, we invite you to come down to Chevrolet of Naperville in Naperville, IL, and take each one for a test drive. We take every car buyer out on our exclusive state-of-the-art test track that consists of various elements you will encounter on the streets and roadways here in Illinois. You can explore the capabilities that each compact car offers, before settling on which one will best suit your lifestyle. 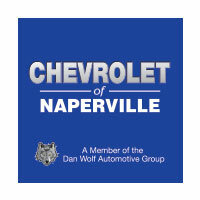 Come down to Chevrolet of Naperville and take the fun and affordable Chevy compacts for a test drive, today.